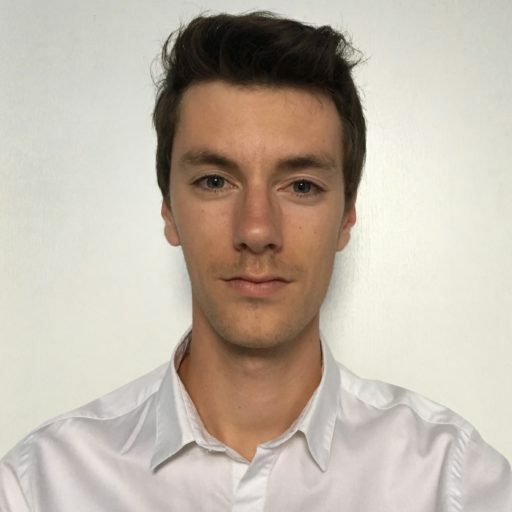 Théo Fournier ist Doktorand am Europäischen Hochschulinstitut (EUI) in Florenz. The recent publication of Marine Le Pen’s presidential program has been followed by many comments from the media, specialists and policy makers analysing her economic, social or security propositions. But one particular point has been missed: the different constitutional amendments that the head of Front National (FN) intends to achieve. Nothing surprising since the political timeline is always a short one and depends on everyday reactions. The constitution is, on the contrary, a long-term process inspiring only some lawyers and political scientists. Unfortunately, even from them, no constitutional analysis has troubled the classical triptych of the presidential campaign: security, immigration and unemployment. It is paradoxical since Ms. Le Pen is not shy about hiding her intentions for her constitutional project, which is exposed in a twelve-page sheet called “the constitutional reform that I propose to the French people” (hereinafter: “the constitutional program”). During the months following her potential election, Ms. Le Pen intends to call for a referendum in order to adopt a series of constitutional amendments which, according to her, would give ‘greatness’ back to the 1958 constitution. Ms. Le Pen’s ambition is not only reduced to leaving the European Union (EU), as it was the case with UKIP. With this constitutional program, her goal is to deeply reform the organization of the French state and its institutions. It is an unnamed constitutional revolution since Ms. Le Pen’s objective is to strike down French liberal democracy1)French democracy is a liberal one because the constitution foresees specific mechanism of counter-powers limiting the legislative power. Therefore, with a constitutional review done by the Conseil constitutionnel, every law of the Parliament must respect the constitution in order to protect individual rights. Liberal democracy is used as a synonymous, in France, of État de droit. in order to install an almost absolutist presidential regime. The first two points of the program reflect the nationalist and xenophobic vision carried by FN since its creation. Point 1 foresees the inscription of new fundamental constitutional principles namely the "defence of our identity of people", the "national priority" and the "fight against the communitarianism". Doing so, FN would negate first French history, which is based on the diversity of peoples and not on mythological vision of one people. Such a reform would also go against French constitutional identity, which, as article 1 of the constitution states, is based on an "equality of all citizens before the law without distinction of origin, race or religion (and a respect of) all beliefs". Point 2 is also in line with FN’s policy since it directly concerns the process of European integration. Ms. Le Pen therefore wishes to use the referendum in order to "restore the superiority of national law" with the deletion of Title XV of the Constitution, which organizes the relations between the French State and the EU institutions. Article 55 would also be abolished in order to re-establish the authority of national laws on international treaties as well as the superiority of national judicial institutions over supra-state courts. While some may welcome a so-called reaffirmation of French grandeur, particularly in relation to European courts, such a provision would also undermine all the international contracts of French economic actors (private or public).2)Let us keep in mind that international business relations are based on both a system of international litigation and reciprocity. Then, if the French state refuses to follow this rule, then nothing impeach its business partners to suspend their own obligations which would directly threaten French international and economic transactions. Despite a façade that intends to be representative and plural, FN is based on a strong figure, Ms. le Pen, and on a hyper-centralized territorial organization. FN wants to transpose this authoritarian vision of making politics into the French institutional model. In the French political system, the political majority of the Assemblée Nationale (AN) must be reflected in the composition of the government even though the latter is appointed by the President. As a result of an alignment of the presidential mandate with the deputy’s one (constitutional reform of 2000), the President of the Republic is assured of governing with a government from the same political edge. Its role has hence been considerably reinforced even if Ms. Le Pen argues the contrary by the concluding remark of her constitutional program. On the basis of the authoritative argument that “because of the five-year term, the President has found himself weakened", she proposes to change again the presidential mandate into a non-renewable seven-year term, which would re-open the door to periods of cohabitation. It might seem paradoxical since cohabitation is a period where the President is weakened by a strong Prime Minister (from a different political edge) which usually takes full charge of the internal policies. In reality, Ms. Le Pen’s strategy is to strengthen the power of the President, mainly by drastically weakening the legislative power, represented by the (NA) and the Senate. Point number 3 of the constitutional program proposes a reduction by half of the total number of members of parliament (from 577 to 300 for the NA, and from 348 to 200 for the Senate). This would not result in an augmentation of representativeness as claimed by Mrs. Le Pen but would, on the contrary, tremendously reduce their legitimacy toward the population. The second proposition is to establish a system of full proportional representation for all elections, starting with the legislative elections. In theory, a system of proportional representation does allow for a more democratic representation because every political party has a number of seats in parliament which corresponds to the number of votes it obtained. For example, a political party that obtained 50% of the votes would gain 50% of the seats. However, the FN vision of proportional representation is far from fulfilling this objective of representativeness. Thus, for the NA’s election, a threshold of 5% is introduced, which means that only parties with more than 5% of the votes can access the Chamber. Above all, the FN wants to set up a so-called majority prime for the winner, which corresponds to 30% of the NA’s seats. This prime should not be understood as "bonus" that would be added to the percentage resulting from the votes but more as a maximum limit. The majority prime means that, regardless of the score (20% or 50% of the votes), the winner of the legislative elections would be allocated 30% of the seats of the NA. Hence, even a political party that would have obtained a large majority of votes would have to form a political coalition to get a simple majority and pass laws. Moreover, the same compromise would have to be sought to form the government, which would decrease its capacity to rule as whole as well as its political and popular legitimacy.3)During the current governmental term, an internal scission of the socialist party resulted in several ministry crises which decreased the legitimacy of the Prime minister and the government. In the French paradigm where the President is elected through a direct universal suffrage, a parliamentary coalition significantly decreases the legislative power. Arguing for a better representativeness, Ms. Le Pen is actually seeking to diminish the influence of the legislative power and in fine the government. FN does not intend to rule with the legislative power but wants to exclude it to the law-making process in order to justify a reinforcement of the presidential power. Point number 6 of the program wishes to transpose FN’s centralized organization to the territorial organization of the state. It foresees an amendment of article 72 of the constitution in order to erase three of the six levels of decentralization. Consequently, the European, the regional and the intercommunal4)The intercommunal level corresponds to a gathering of different communes in one decentralized entity. levels would disappear whereas the State, the départemental and the communal levels would remain. The objective is first of all electoral since a suppression of the regions and the intercommunalités decreases the risk of elections likely to contest the central power. But this reform must also be put in perspective with the generalisation of the proportional representation as foreseen by point 3 of the constitutional program. At the level of the département, decentralized politics are managed by an elected body, the conseil général, whereas deconcentrated politics are handled by the préfet which is appointed directly by the State. If the elected body is weakened by the need to form a coalition, then the appointed one, the préfet, could have the tendency to increase its powers. The territorial reform, under the pretext of saving public money and increasing political proximity, could in the end lead to an enforcement of the State tutelage over the decentralized powers. In order to “give the floor back to the people”, Ms. Le Pen intends to considerably increase the use of referenda, as stated in point number 4 of her constitutional program. The referendum is already framed by the constitution which makes a distinction between a referendum initiated by the President (article 11§1) and a referendum initiated by the Parliament or the citizens (article 11§3). Regarding the latter, Ms. Le Pen foresees to decrease the popular threshold of support from one tenth of the electorate (around 4,46 millions) to 500 000 electors. In addition, FN would like to extent the scope of the referendum to all the areas currently covered by the law.5)Currently, under article 11§1 of the constitution, a referendum can be called only for a question dealing with the organization of public powers, economic, social and environmental reforms of the Nation, public services or the ratification of an international treaty. Consequently, the act of making the law would no longer be the monopoly of the legislative power. This reform would on the contrary install a plebiscite relation between the President and the citizenry at the expense of national representation and parliamentary debate, two key elements of the French democracy. The second aspect of point number 4 is even more worrying because it envisages a suppression of article 89. This entails an entire suppression of the current procedure of constitutional amendment. Currently, the constitution can be amended only after a specific parliamentary procedure: the two chambers must approve in identical terms the text which is then adopted either by a referendum or three fifth of the votes of the two chambers gathered in one Congrès. Through its constitutional program, FN wants to give the exclusivity of the pouvoir constituant to the people and therefore wants to impose the referendum as the only possibility to amend the constitution. One can be attracted by this mechanism which seems to put the constitution back in the hands of the population. However, this is just a façade of democracy. A referendum is not a constitutional debate, it is just a binary question drafted and decided on by a hierarchical power, or in FN’s vision by the President. With the plebiscitary debate that Ms. Le Pen would like to implement, French citizens would not participate in the democratic life, they will just be temporarily consulted, and perhaps manipulated, to approve choices of the President. Ms. Le Pen’s constitutional program echoes a current practice in some dictatorial regime, which consists in using the referendum in order to justify authoritarian backslidings. If the constitutional program is adopted, no constitutional disposition would be safe from any authoritarian tendencies. Amending the constitution through referendum would allow Ms. Le Pen to propose constitutional reforms which go beyond her original constitutional program. It is already the case with the reestablishment of death penalty since she recently announced that this question will be asked by referendum.6)A reestablishment of the death penalty would require an amendment of article 66-1 which states that « no one can be sentenced to death penalty ». Moreover, nothing would inhibit Ms. Le Pen to use the referendum in order to extent or renew the presidential mandate, or to modify the electoral system of the NA if the latter is too troublesome. In order to get her constitutional program passed, Ms. Le Pen does not intend to use article 89 and the classical procedure of constitutional amendment. She wishes to call for a referendum which, in a way, matches with her apparent willingness of giving the floor back to the people. But the real reason is more strategic because with a referendum, she would not have to go through the parliamentary procedure (a reinforced majority) but could have her program adopted on the basis of the result of the referendum (a simple majority). However, is it legally possible? Indeed, even if she wants to dismantle the French constitutional order, her constitutional program must be implemented by the rules in order to be effective. A literal reading of the constitution would tend to reject Ms. Le Pen’s strategy. Article 11§1 indeed foresees that a referendum initiated by the President is limited to a law and cannot include a constitutional amendment. Consequently, Ms. Le Pen could only amend the constitution by applying the classical procedure of article 89 and seek for the approval of the Parliament. However, constitutional practice has already validated the using of article 11§1 to amend the constitution since this option was taken by President De Gaulle in 1962 to modify the presidential election. At that time, this practice had not been invalidated by the Conseil constitutionnel, which had preferred to declare itself not competent to rule upon a “direct expression of national sovereignty”, and would be more likely to repeat its position.7)See decision n°2003-469 DC and the organic law of the 6th December 2013 organizing the Conseil Constitutionel which gives it competence to control a referendum but only the one initiated by the parliament or the population. Ms. Le Pen can therefore justify her strategy by putting forward this constitutional precedent. What to do in less than two months from the presidential elections? Some might argue that France is sheltered from such practices simply because France is a resilient liberal democracy which is the result of a unique historical construction. Relying on resilience to affirm that the French constitutional model would be safe from FN’s constitutional program is regrettably naïve. It is true that this so-called resilience can be found among the institutions which, almost all the time,8)Recently, members of the AN, from both side, tried to overrule a decision of the Conseil which censored parts of a la criminalizing the consultation of terrorist websites. respect the logic of liberal democracy. Both the Parliament and the President follow decisions of the Conseil even when it rules against their direct interests. It is however unreasoned to state that French electors are that attached to the concept of liberal democracy and the idea that their majoritarian choice can be limited by constitutional dispositions. Their position is hardly blameworthy when we know the technicality of constitutional law, which is only taught in law and political sciences faculties. It would be dangerous if we as lawyers assume that our specialized knowledge is universal. If the French electorate were so attached to liberal democracy, then a political party such as FN, which needs a popular support, would not be able to publically campaign for a destruction of our constitutional regime. Why does Ms. Le Pen want to organize this referendum as soon as she is elected? An important reason lies in the benefit of using the post-presidential electoral “euphoria”. This allows the majority expressed in the second round to be the same, a month later, during the legislative elections. Consequently, if the majority of the vote chooses Ms. Le Pen as the President, it is highly possible that the following referendum would be approved, as well as FN’s constitutional program. This is the reality of the current French political scheme. The campaign for the presidential elections are not over yet the organisation of FN’s referendum is still hypothetical. What to do then? Wait and see to potentially find ourselves in the same situation as Hungary in 2010 or Poland in 2015? Or react and denounce in the hope to awake consciences before it is too late? Reaction is our duty as constitutional lawyers and we cannot put forward the argument of academic neutrality to justify our inertia. Where is this neutrality when law professors use constitutional law to denounce judicial measures against François Fillon? Lawyers do have the freedom to support whichever candidate they deem most qualified, and this is freedom is worth defending. But the defence of our constitutional principles cannot be unilateral and coherence obliges us, as lawyers, to publically denounce Ms. Le Pen’s constitutional program. This post has previously appeared on the Constitutionalism and Politics blog and republished here with kind permission. 1. ↑ French democracy is a liberal one because the constitution foresees specific mechanism of counter-powers limiting the legislative power. Therefore, with a constitutional review done by the Conseil constitutionnel, every law of the Parliament must respect the constitution in order to protect individual rights. Liberal democracy is used as a synonymous, in France, of État de droit. 2. ↑ Let us keep in mind that international business relations are based on both a system of international litigation and reciprocity. Then, if the French state refuses to follow this rule, then nothing impeach its business partners to suspend their own obligations which would directly threaten French international and economic transactions. 3. ↑ During the current governmental term, an internal scission of the socialist party resulted in several ministry crises which decreased the legitimacy of the Prime minister and the government. 4. ↑ The intercommunal level corresponds to a gathering of different communes in one decentralized entity. 5. ↑ Currently, under article 11§1 of the constitution, a referendum can be called only for a question dealing with the organization of public powers, economic, social and environmental reforms of the Nation, public services or the ratification of an international treaty. 6. ↑ A reestablishment of the death penalty would require an amendment of article 66-1 which states that « no one can be sentenced to death penalty ». 7. ↑ See decision n°2003-469 DC and the organic law of the 6th December 2013 organizing the Conseil Constitutionel which gives it competence to control a referendum but only the one initiated by the parliament or the population. 8. ↑ Recently, members of the AN, from both side, tried to overrule a decision of the Conseil which censored parts of a la criminalizing the consultation of terrorist websites. SUGGESTED CITATION Fournier, Théo: Marine Le Pen: a Constitutional Program Threatening the French Constitutional Regime, VerfBlog, 2017/3/02, https://verfassungsblog.de/marine-le-pen-a-constitutional-program-threatening-the-french-constitutional-regime/.